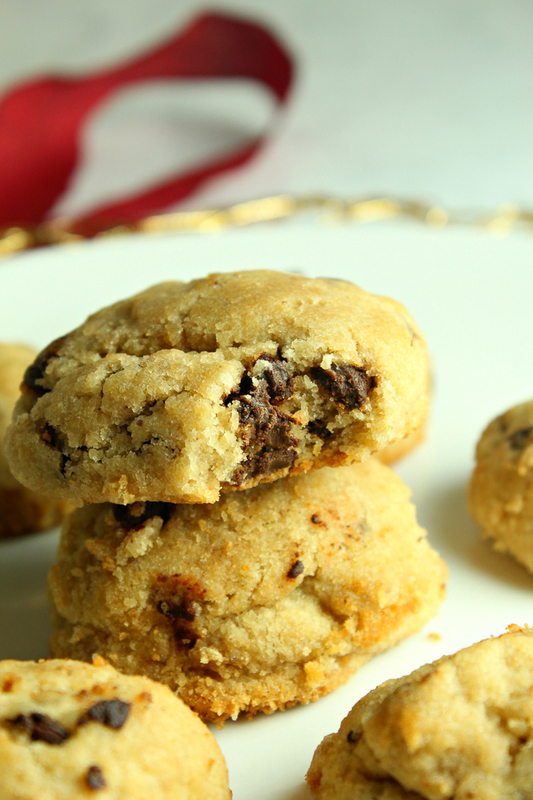 This time of year you might just need a healthy chocolate chip cookies recipe. Well, I am coming to your rescue today! For those that want to stay healthy but still may need a sweet treat, we have the perfect recipe for you! They are also delicious….so that is a bonus! Preheat oven to 350º F and line two baking sheets with parchment paper. Set aside. Using a stand mixer, beat together butter and sweetener. Then add eggs one at a time, beating for one minute and scraping the bowl after each addition. Then add almond flour and baking soda and mix well. Spoon about a tablespoon of dough onto the two prepared pans (about 18 cookies). Bake for 14 minutes, rotating pans halfway through. 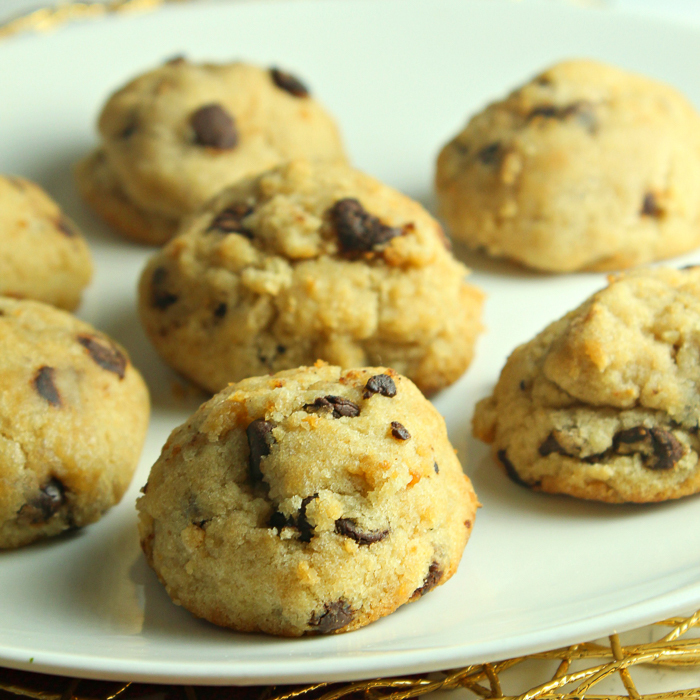 Remove from oven and cool on pans for five minutes, then transfer cookies to a wire rack and cool completely, and serve. 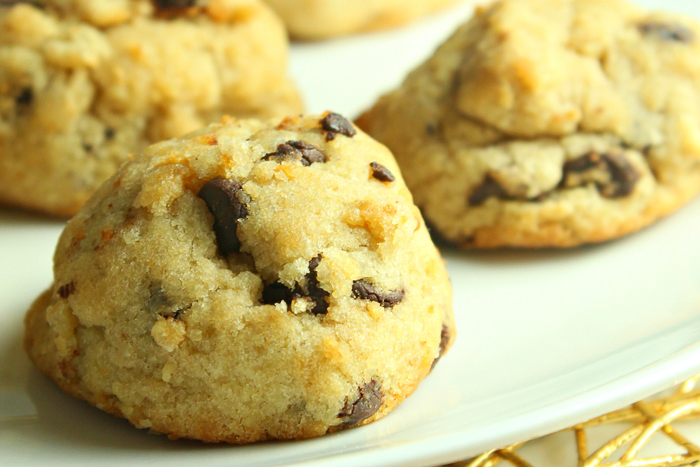 Dive into a few of these healthy chocolate chip cookies to satisfy your chocolate cravings. I mean we all have them right? Don’t let that ruin your New Year’s resolutions. Instead, keep these cookies on hand at all times. Who needs a few of these right now? I know that I do! 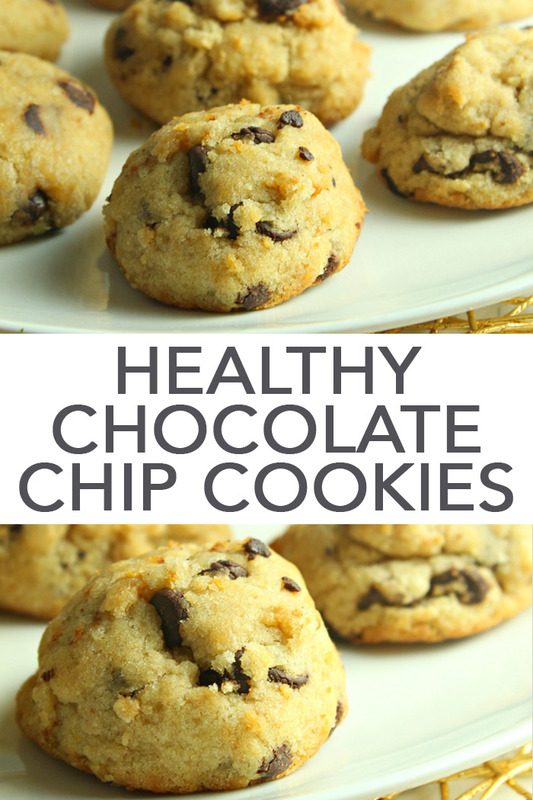 Will you be making some healthy chocolate chip cookies soon? I hope you enjoy and they help keep you on track with any of your health goals this year. 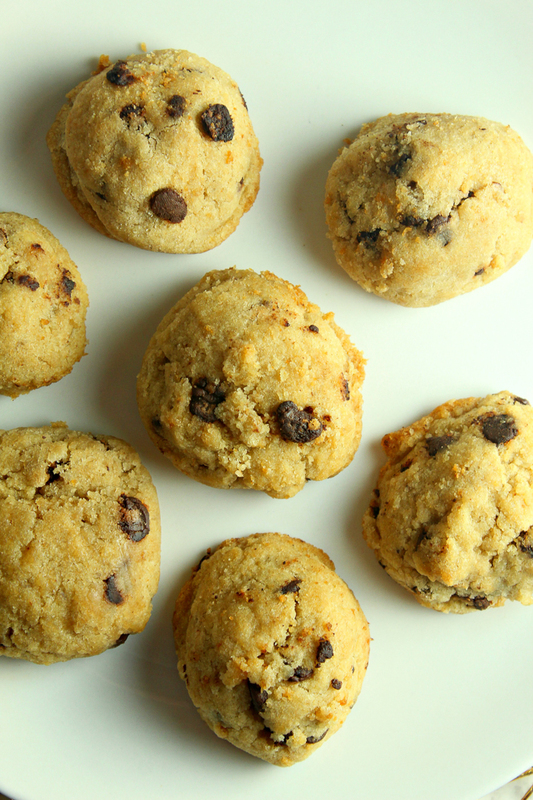 Love these healthy chocolate chip cookies and want more ideas? Try the links below! Plus 25 more chicken recipes perfect for dinner! Sound good I want to try them I am allergic to sweetner. How much sugar would I take. Not sure as this was not tested with sugar.